One week from Monday, I'll be celebrating my 26th birthday! I'm really excited for the festivities this year, which will be drawn out over the next two weeks. I usually find it silly when people celebrate their 'birthday month' or even 'birthday week', but this year, I'm letting myself enjoy it for once! For starters, my best friend Caroline is in the city with me this week and we're having a fun weekend to celebrate early. The actual week of my birthday, I'll be in Florida with lots of fun things planned. I have a very chill idea of how I would like to spend my actual birthday. I want to have a really good breakfast, go pick up my free birthday Starbucks, go swimming and read a magazine by the pool, take a really luxurious bath, enjoy my birthday cake (it's going to be black forest cherry), put on a sheet mask, then watch Grand Budapest Hotel. Later that week, we're going down to Palm Beach for more celebration---a sort of dual birthday, Mother's Day kind of thing. I cannot wait for all the lovely things we have planned for PB, all of the food, and the pretty photos we're going to get. Anyway, so that's how I'll be spending the next few weeks celebrating my birthday. If you know someone whose birthday is coming up, I've got a few gift ideas for you below! initial pendant - I think this piece from Kate Spade makes for a special, personalized gift that is a perfect fit for any classic jewelry collection. peach & lilly sheet mask set - This little set comes with three different treatment masks including Reset Button for irritated skin, Chubby Cheeks for lifting and firming, and Good Skin Day for nourishment and hydration. le labo body wash - A luxe body wash is always a great gift. It's something I don't treat myself to that often but that is definitely on my wish list. zimmermann keychain - This pink Zimmermann keyring is so cute! Such a great way to incorporate a brand's aesthetic into your wardrobe for less money. gucci phone case - I am obsessed with this floral Gucci phone case. I purposely got the rose gold iPhone 8, so I like for my phone cases to look similar to the body. straw shoulder bag - This cute little straw bag is the perfect piece to wear with jeans and a t-shirt or a summer dress. Plus, it's under $25! 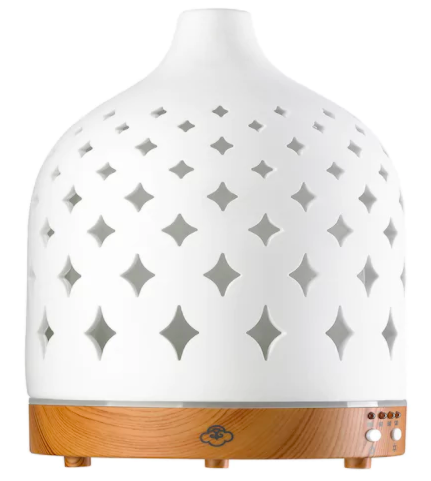 serene house diffuser - I love a good essential oil diffuser and this one is so beautiful, it looks like a piece of art! 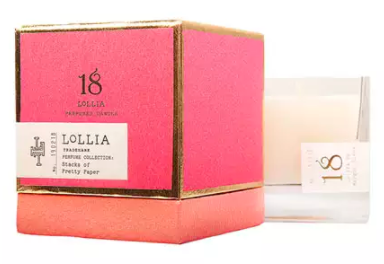 stacks of pretty paper candle - This candle from Lollia has all of my favorite notes like white lily, jasmine, white tea, geranium, amber, and sheer musk plus paper pulp and rice flower. I feel like this candle is what Pride & Prejudice would smell like.